You are invited to attend 'Summer Saturdays' at the Hylton's. 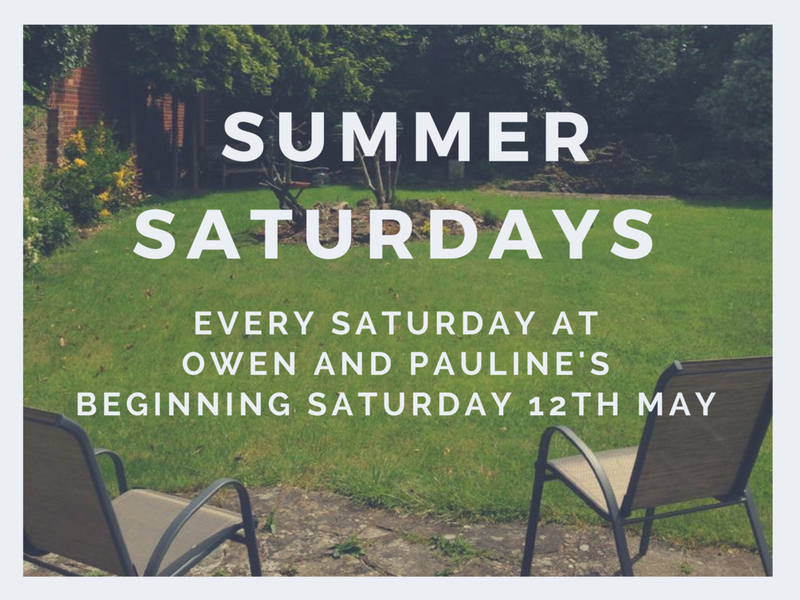 Owen and Pauline are opening their house and garden every Saturday from 12th May to 21st July from 3-7pm. Activities include board and card games, trampoline, boules, table tennis, clothes swap and more... come along and bring a friend.